It comes with the software you need as well, which is a great value, since if you buy it somewhere else you do not get the software included and have to purchase it separately for $200. 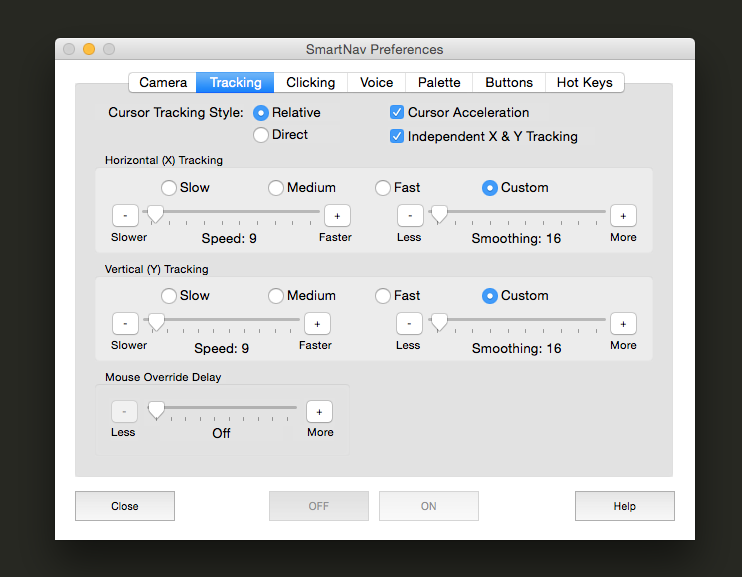 Here are the configuration settings that seem to work best with the SmartNav. Not everyone experiences the following problem, but you might find that after a couple minutes, the SmartNav tracking becomes very choppy. If so, this is due OSX&apos;s App Nap feature which slows down or suspends apps that don&apos;t have a visible user interface. The solution to this is to disable the App Nap feature for the SmartNav application. Navigate to the /Applications folder in the finder, single-click on the SmartNav application icon, followed by command-I to bring up the application information, then click "Prevent App Nap".